Another one of those German bands with a British vocalist (Andreas Scholz came from the recently disbanded Murphy Blend!). 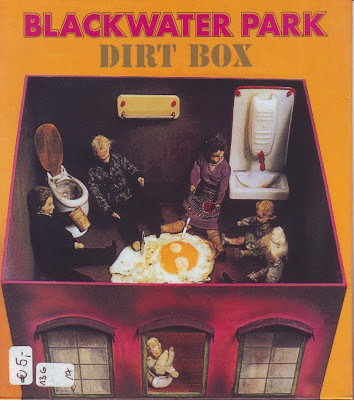 Dirt Box had a promisingly weird cover, but the music was quite common for the period: guitar-based hard blues-rock in the Anglo-American style. The material written by Fechner and Scholz ("Mental Block", "Rock Song" and "Indian Summer") was the best, recalling the brilliance of Armaggedon. Routledge's material tended towards boogie blues and sounded more like Free. He also wrote all the lyrics. The album also included a good cover version of the Beatles' "For No One". This is one of many albums of which the original copies sell for small fortunes today. To meet the increasing demand, Second Battle re-released the album in 1990 in its original sleeve. If you go for originals though, expect to part with 250 DEM.